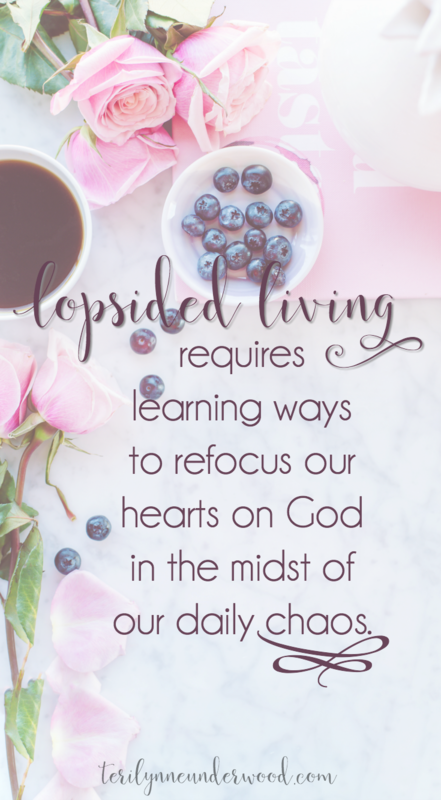 WELCOME TO DAY THREE OF 31 SIMPLE WAYS TO EMBRACE LOPSIDED LIVING! I’m sure today’s post seems like a no brainer. But here’s the thing … we KNOW we need to love God most but how to do it when our calendars and schedules are overflowing. Think about your everyday life. What are the challenges you face in having a consistent quiet time? What are the struggles you have with maintaining a heart that loves the way Christ did? obsessive worrying, over-parenting, people-pleasing, and, possibly most embarrassing but honest of all, Netflix binging. It’s not that I mean to lose sight of the Lord as I go throughout my day, it’s more that I just get busy and then distracted. And, if you’re honest, I imagine the same thing happens to you. We get focused on completing the tasks for the day, managing the normal chaos of having kids, and trying to figure out to have time for our husbands when all we really want is a long bubble bath with no little fingers slipping under the door. 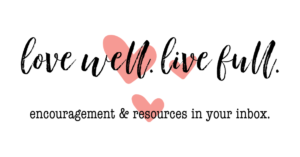 You’re not reading this series because you don’t know what matters … you’re here because you’re hoping there is a way to keep your life focused on what really matters — AS you’re dealing with the all the interruptions and details of everyday living in our world. 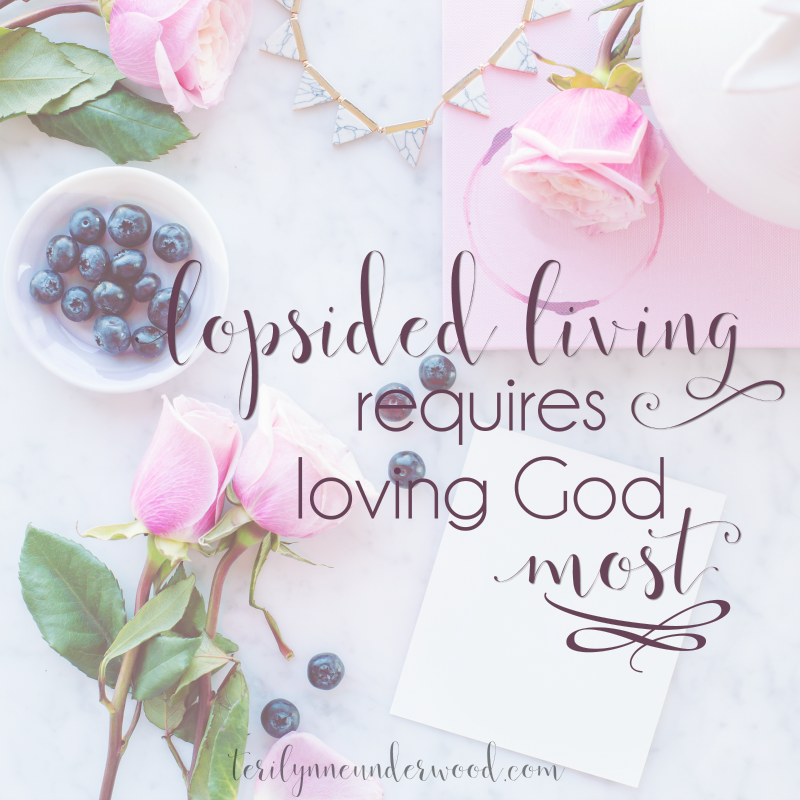 Lopsided Living requires loving God most. 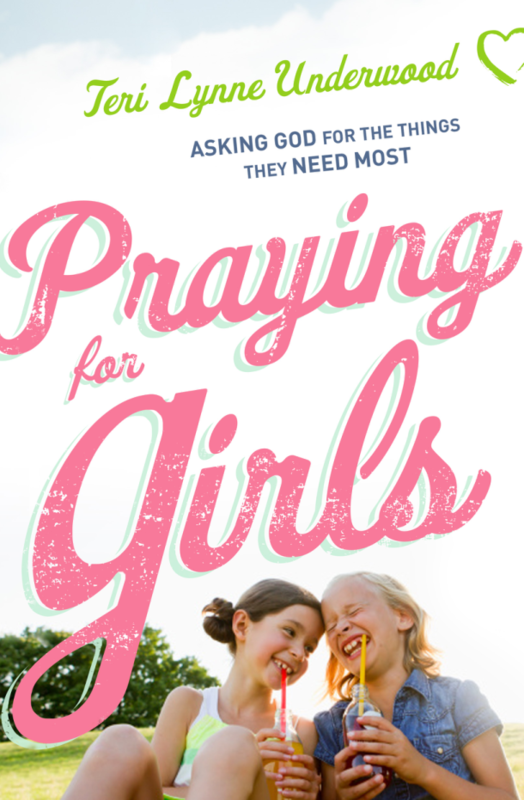 Here’s the thing, before I was a mom and wife and trying to figure out meal plans and how to be in fourteen places at once, I thought loving God most came naturally. I had no idea I would reach a point in life when what I loved the most was that moment right after everyone was in bed and right before the first request for another drink of water. When we got past that phase and I thought I’d be able to get back into my pre-motherhood spiritual groove, I had no idea the day would come when the car line would be what I loved the most because I was alone and really couldn’t do anything but sit there. Most recently, I was absolutely convinced that when my daughter could finally drive herself to school and I didn’t have that extra stress in the morning, well then I’d achieve that spiritual bliss that would last all day. Here’s what I realized — those moments I spend with God in the morning, as precious as they are, are not sufficient to keep me focused on Him all day. Abiding is more than a 20-minute commitment in the morning. It’s about a continual resetting of my focus on Him. Read a chapter of Proverbs every morning. This has been a habit of mine for the past 20 years. This was one of the key parts of helping me continue to grow in Christ while I was in the newborn/infant/toddler/preschool years. Proverbs is super practical. 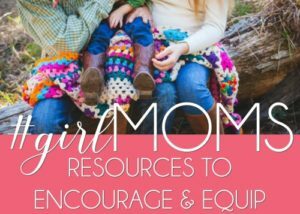 I love reading something that would challenge me and push me in areas like raising my daughter, encouraging my husband, and controlling my speech. Put a verse in front of the sink or stove. If there’s a verse you want to memorize or meditate on, put it somewhere you find yourself multiple times a day. For me it’s the window by the kitchen sink. I stop there several times a day to do dishes and seeing that verse helps me reset my mind on truth. Those are just a few ideas I have found useful. Maybe you can start with one of them … or maybe there is another way you’ve found to help refocus yourself the Lord throughout the day. STOP AT LEAST ONCE A DAY TO RESET YOUR FOCUS ON THE LORD. SET AN ALARM AS A REMINDER. Life gets crazy for all of us. And I firmly believe the Lord looks at us with tenderness. But we can never truly know the full life He has offered us if we don’t keep Him at the center of our attention. That’s why lopsided living means loving God most. Yesterday’s post: We have abundance not scarcity. Tomorrow’s post: Lopsided Living allows us to live at rest. Index to every post in series here. This is SO HELPFUL. Thank you, I already planned on putting up verses, but now have more motivation to do it TODAY. And devotional at night, IT MAKES SO MUCH SENSE. I also am definitely going to coordinate more Proverbs into my life! I really love doing a devo at night. It’s such a great way to refocus my heart before I close my eyes. Just stumbled upon your blog tonight as I was feeding my littlest one and reading this was like you’ve been following me around all day! I’m a stay at home mom with a 14 year old, 2 year old and 4 month old. My days are filled with chaos. Thanks for the tips and encouragement! I’ll be back to read more.